There are five reasons to manufacture pet food that are directly related to how people feed their pets. How each different pet food manufacturer handles these five reasons is what creates the diversity present within the marketplace. To address (the) societal “correctness” of feeding. The first three reasons are simpler to explain than the last two. So, let´s start with those. 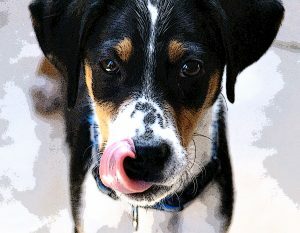 Hunger is the obvious reason we eat and, therefore, feed our pets. The assumption is often made that satisfying hunger also provides calories and nutrients. However, the argument can be made that gypsum, in the form of drywall, will fill a hunger need and provide a source of calcium but will not provide calories. Similarly, melamine biochemically provides nutrients, but physiologically does not. These extreme, real life, examples help differentiate between different qualities of pet food and their manufacture. The argument can also be made that any pet owner who provides food to their pet does so out of affection. The growing epidemic of obese pets underscores this point: people love to feed and provide treats to their dogs and cats. Of course, a lot of this obesity is due, not just to overfeeding and under-exercising, but also due to the poor quality, digestibility and assimilability of the vast majority of pet “foods” available from the large manufacturers. We’re proud to say that it’s OUR attention to the quality of our food is what differentiates the members of NGPFMA. A sense of “societal correctness” is another place where Next Gen PFMA members distinguish themselves from all the others. In truth, loving your pets means providing for their overall best health, including avoiding obesity, and feeding them high-value calories that can be easily digested and assimilated. This is best done through providing species appropriate (“healthy,” i.e., non-adulterated) foods. Pet owners who provide meat-based meals and snacks to their pets not only display affection, provide high quality calories and nutrients and assuage hunger, but are providing the right food for their pets’ health – thus society’s best interest is also addressed. While most, if not all, large manufacturers use dog and cat food as a recycle center for waste products of human food consumption, our members address that which is “societally right” by manufacturing food with high quality (often even organic) ingredients. Some even use ethically raised meat ingredients and sustainably farmed vegetables, fruits and other carbohydrates. It is the goal of Next Gen PFMA members to ensure pets have access to foods that satisfy all five of the reasons for which they should be fed: hunger, high quality calories, unadulterated nutrition, affection, and societally correct food. This means not only ensuring that our manufacturers continue operations and experience growth, but also expand the marketplace so more is available at less cost-prohibitive prices. Recycling waste products is necessary, but dog and cat food should NOT be the recycling center. Unfortunately, commercial pet food made entirely with human-grade ingredients is usually at least three times as expensive as food containing crude protein. This is one of the main reasons for switching your pet to a homemade diet.